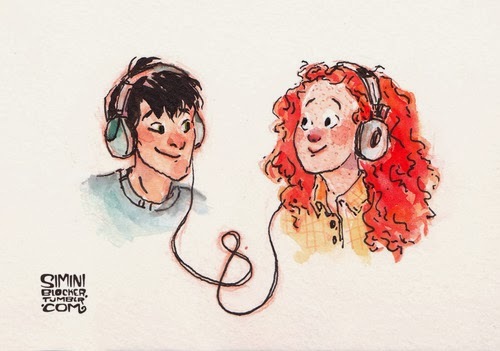 Eleanor & Park is a very simple love story at its core. 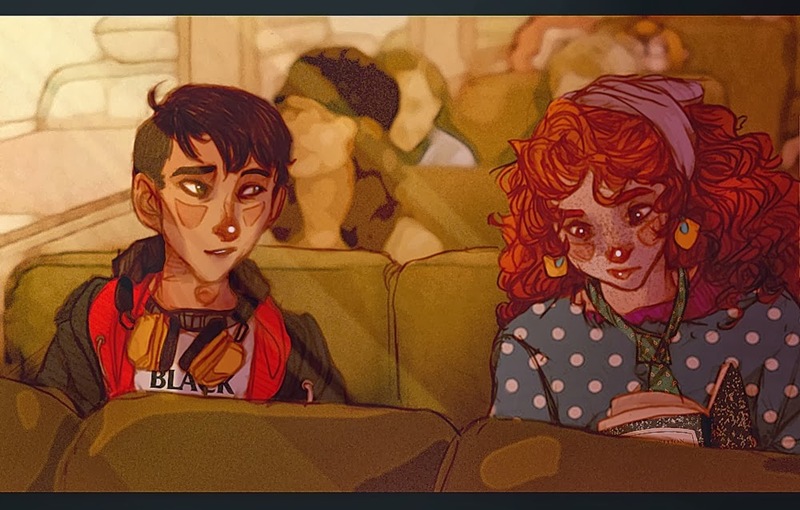 Eleanor (a chubby, red-headed girl with a horrible home life) sits down on the bus next to Park (a slightly feminine, half-Korean boy) and the rest is history. It takes awhile for them to become friends, but their shared love of comic books, Star Wars, and music draws them together. 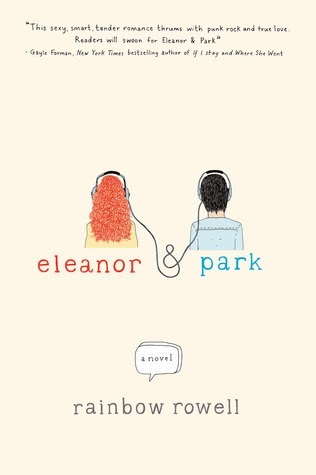 Eleanor struggles with bullying and an abusive stepfather, but Park helps her through it. When they fall in love, it's hard and fast. This is very much a "young love" story, full of passion, beating-the-odds, discovery, and flowery language. It's sad to say, but in some ways I think I'm too old for it. 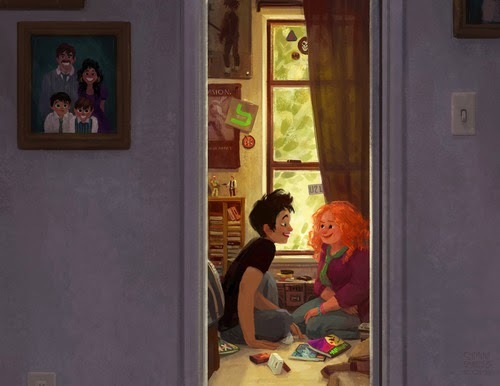 While I really loved the fact that these two nice kids came together, the speed with which they were proclaiming their love and the drama of it had me rolling my eyes (just a little bit!). However, I really loved the beginning of the book. 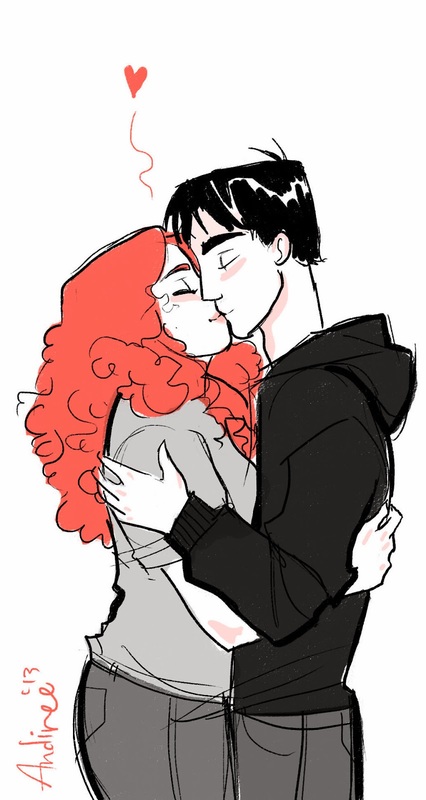 I loved how slowly their romance began and the fact that they were both described as being awkward. Eleanor is fat, red-haired, freckled, poor, and she wears crazy clothes. Park is the only Asian kid around, he's insecure, and he's considered to be a bit feminine. I've always hated how so many authors make their characters good-looking and perfect (particularly in YA books and even more so in love stories). How many people in the world are that good-looking? Let's be honest here. As a kid especially, I would have loved to read a book like this where neither character is a typical, attractive white kid. I wish this book had been around when I was thirteen! I'm sure I would have loved it (and I would have been more accepting of all the dramatic romance then too). Very good book, but I don't think I'm the prime audience for it. VERDICT: 3/5 stars. Liked it a lot, but I wish I'd read it when I was younger. 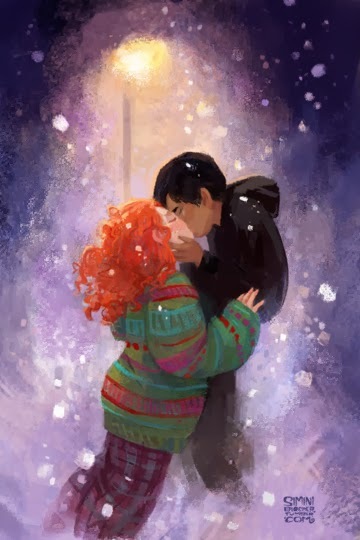 I stumbled upon a lot of great fan art depicting Eleanor and Park after I read the book. Some (especially the first painting below) were too good not to share. Here are my favorites. Enjoy! I haven't read this one yet, but it's on my list. Some of that fan art is very cool! "the fault in our stars" trailer!